What would you do if you had to choose between your new career as a furniture designer or working on the set of The Avengers with a cast you never dreamed you would share the screen with? Thankfully Olivia Scott-Taylor did not have to make the choice. While she spent most of last year working on The Avengers – Age of Ultron, epic sequel to Marvels, with Robert Downey Jr, Scarlett Johansson and Samuel L Jackson, ex interior designer Mum Lesley and Sales Director Dad Bryce held the fort from their separate bases in London and Buckinghamshire with a constant stream of emails back and forth to their daughter. You may recognise this peaches and cream beauty. Olivia cut her teeth as a teen in ITV’s Wild at Heart series, where she played Liv, step-daughter of vet Danny Trevanion (played by Stephen Tompkinson) who moved his family to a South African game reserve and animal hospital. She later did a stint in Doctors and Holby City. Scott-Taylor and her Mum came up with their chair in beech after initial deliberation over the splintering school ones they were updating to sit around their own family table. Once they decided to fulfill a few friends’ orders they set about scouring the country sourcing materials and expertise to create a 100% British made, high quality product to take to market. The tubular steel frames and laminated beech back and seats are created using the same traditional methods and craftsmanship used before Robin Day’s popular polyprop stackers hit the market. 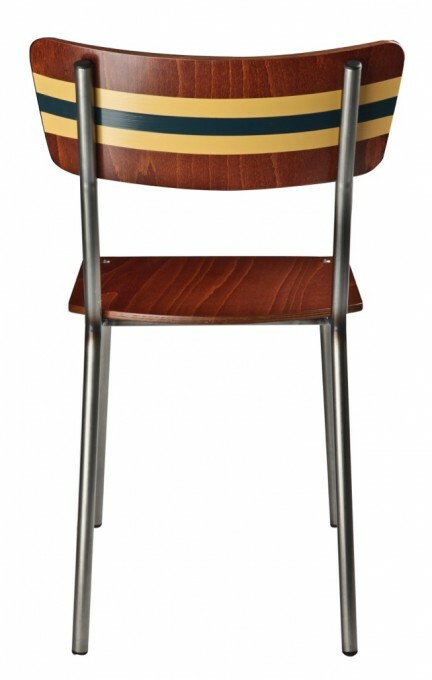 With distinctive hand-painted stripes applied before lacquering, the finished chairs give a feeling of the old school regatta jacket or tie look. 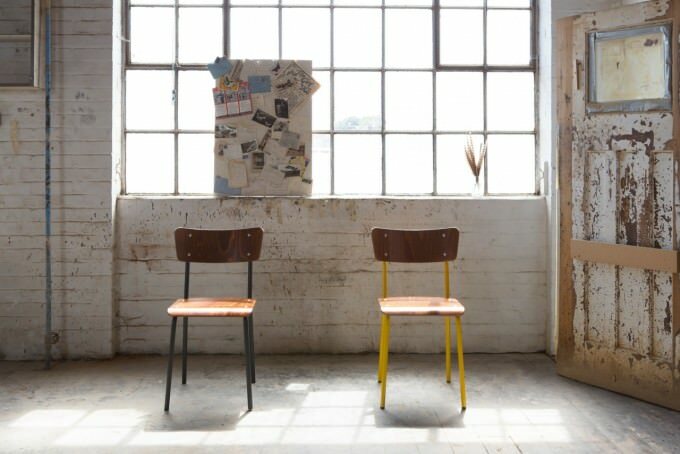 They are the chair answer to the style Paul Smith became famous for in fashion. You can see Etonians playing musical chairs on them and the landed gentry having them as firm fixtures in their Corian kitchens. No wonder Liberty buyers snapped up her chairs after she became one of the youngest discoveries at their 2014 ‘Best of British’ Open Call, after queuing with 900 other hopefuls. Recently the duo set out to find a location for a shoot. 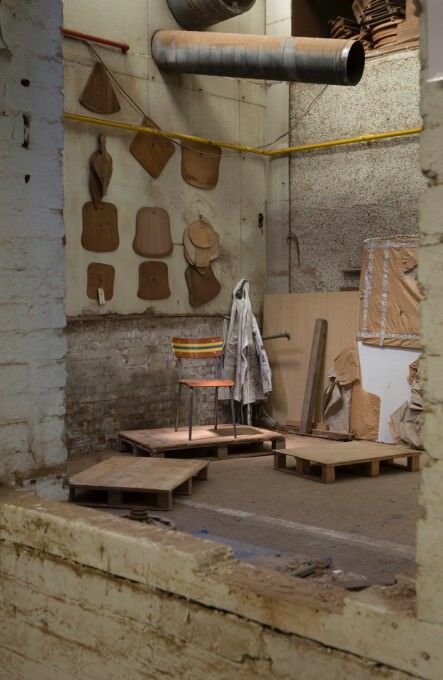 They chose the disused ‘STEWART LINFORD’ chair factory in High Wycombe, Buckinghamshire, near to where they live and work in the heart of England’s furniture making country. Part of the ‘Kitchener Works’, it was originally built in the 1890’s as a specialist chair making factory when High Wycombe was considered the chair manufacturing centre of the world due to the surrounding beech forests. One of the most famous products of trade was the Windsor chair. At this time factories in the area were producing nearly 5000 chairs a day – a remarkable figure if you consider the constraints back then. 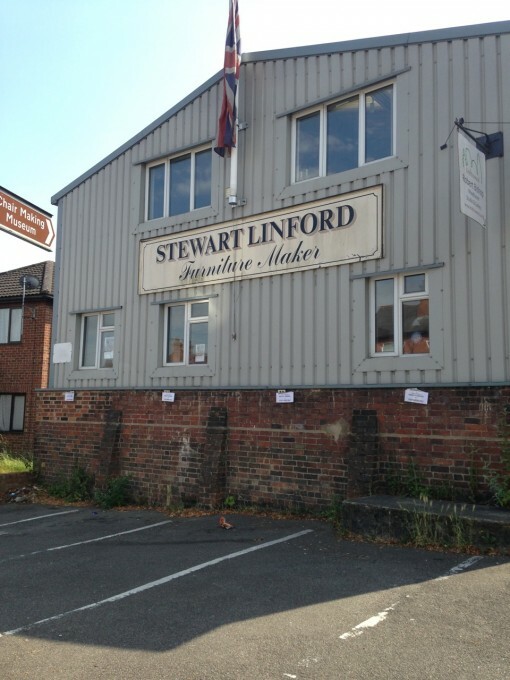 Stewart Linford formed the business in 1976 and operated out of the Kitchener works until 2014 when the firm moved to new premises. References to chair making in the Chilterns date as far back as the 1700’s. Even Daniel Defoe, author of ‘Robinson Crusoe’ noticed in 1725 that there was “a vast quantity of Beechwood which grows in the woods of Buckinghamshire more plentiful than in any other part of England”. The factory, which is soon to be demolished, has remained pretty much untouched since it was vacated as you can see from the photographs taken by . “It was like going back in time – like discovering something quite special- with original ‘broadsheets’ and seat templates still hanging on the walls, old ladders, workers aprons and original wooden work tables lying about and a pair of magnificent leather clad trestles which made brilliant props,” says Scott Taylor. Thick layers of lacquer residue had built up on parts of the floor giving it an almost ‘cobble-stoned’ appearance. 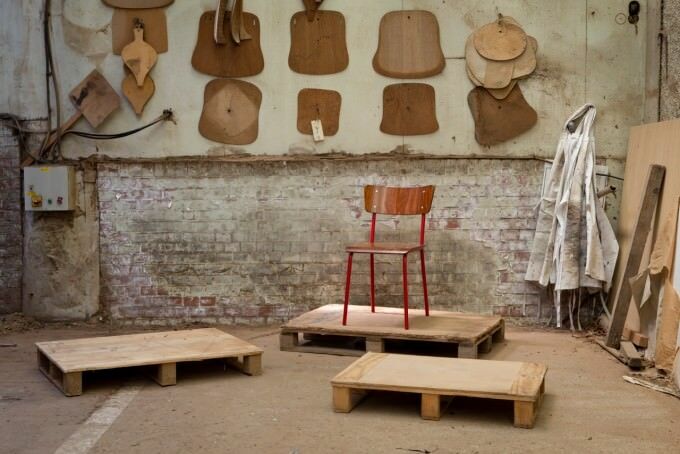 We loved the idea of being able to shoot our chairs in this ‘Tomb-like’ chair manufacturing institution. This was a factory where, for more than a century, quality chairs were handcrafted by dedicated master craftsmen. Scott Taylor and family pride themselves on the quality hand-made nature of their chairs and the traditional manner in which the components are manufactured. Even the retired owner of the ‘tube bending’ factory where the frames are bent and welded by hand tells of how he used to make frames in exactly the same manner back in the 50’s when he was a young apprentice. And we absolutely love them too. Her seats sit very well with the industrial look you will find Metro Retro, Vintage Unit and Retrouvius touting in The Modern Marketplace at Modern Shows. 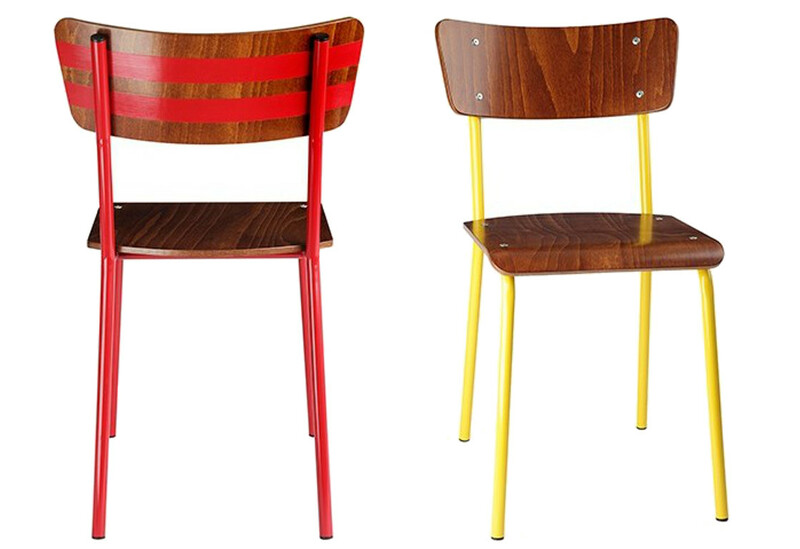 Having recently installed some original industrial wooden and steel school chairs at Brixton Brindisa, we can see cafes and restaurants snaffling at the bit to get these too. We certainly have them high on our sourcing list for our next cafe venture. 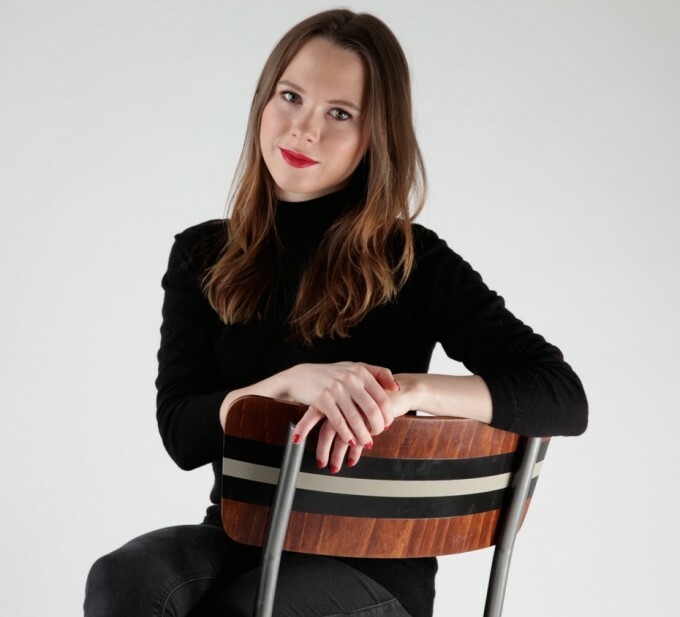 If you can’t wait to see her chairs at the November Midcentury Modern show, head for Olivia Scott Taylor in our BUY MODERN section on The Modern Marketplace. And do check out Scott-Taylor’s first foray into comedy with a two woman comedy show (The Frida Kahlo of Penge West) if you are at Edinburgh Fringe Festival this August.